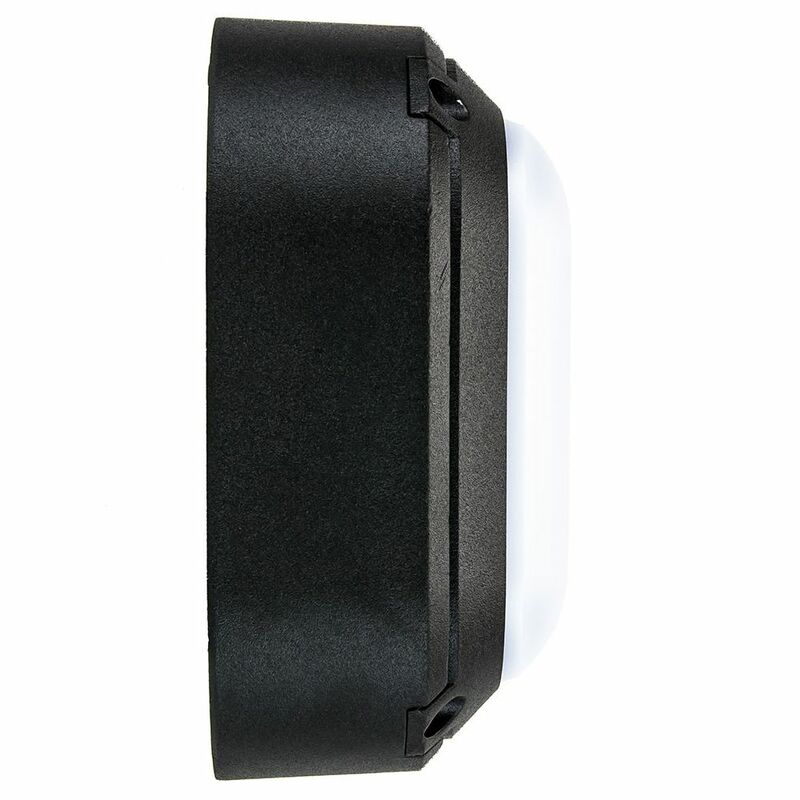 Contemporary matt black IP54 outdoor bulkhead wall or ceiling porch light fitting. 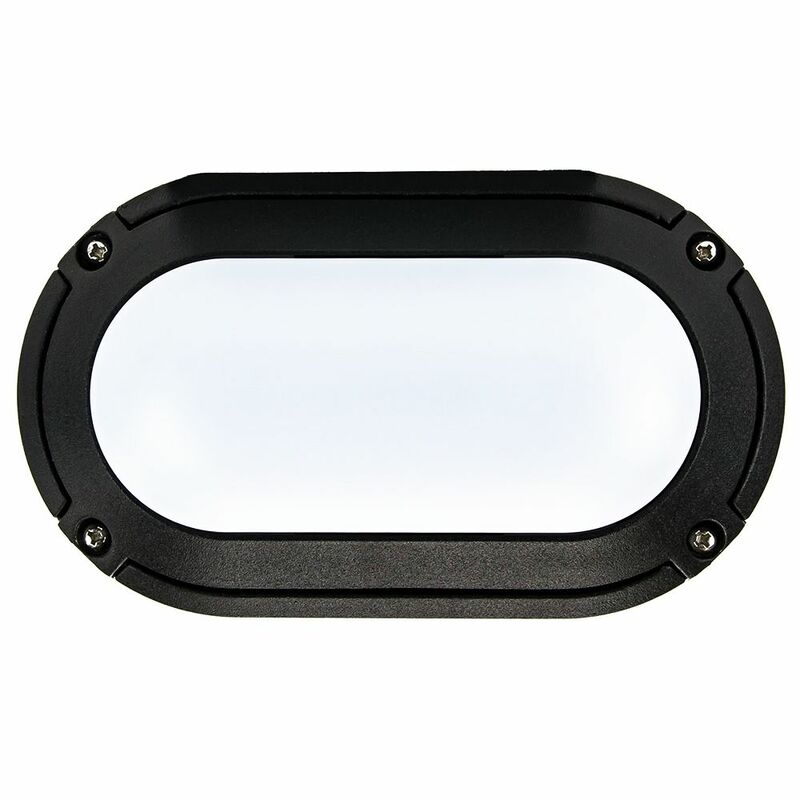 Solid die-cast aluminium frame with toughened opal white polycarbonate diffuser. This fitting can be fixed vertically or horizontally. Product measurements: Height: 10cm, Length: 17cm, Projection: 7.7cm. 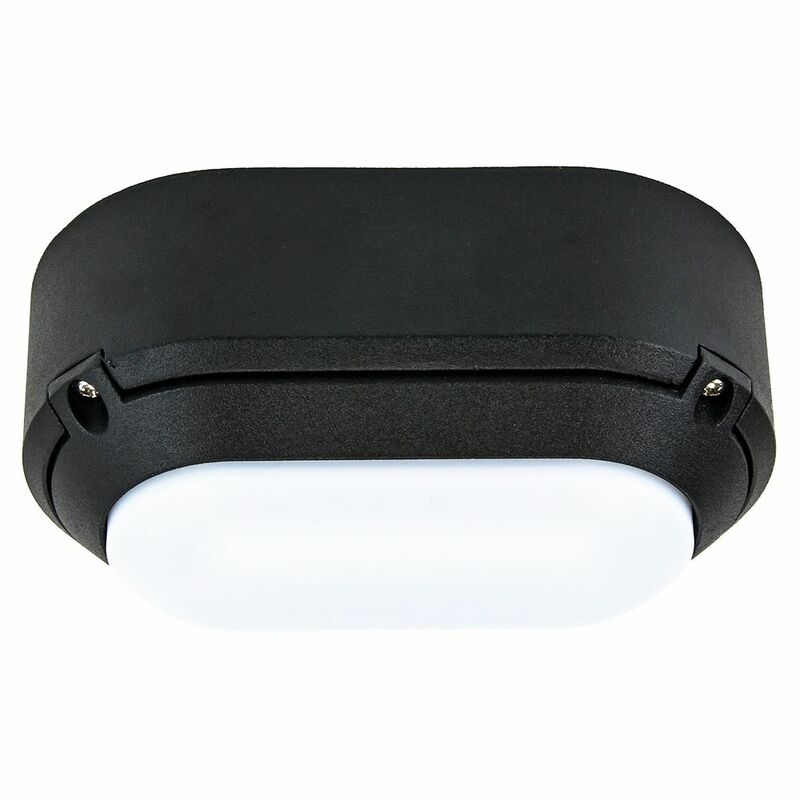 Includes integrated 6watt SMD LED 4000k giving approximately 40watts of incandescent light. This fitting is IP54 rated and comes complete with 5 year guarantee against corrosion (excludes coastal areas).